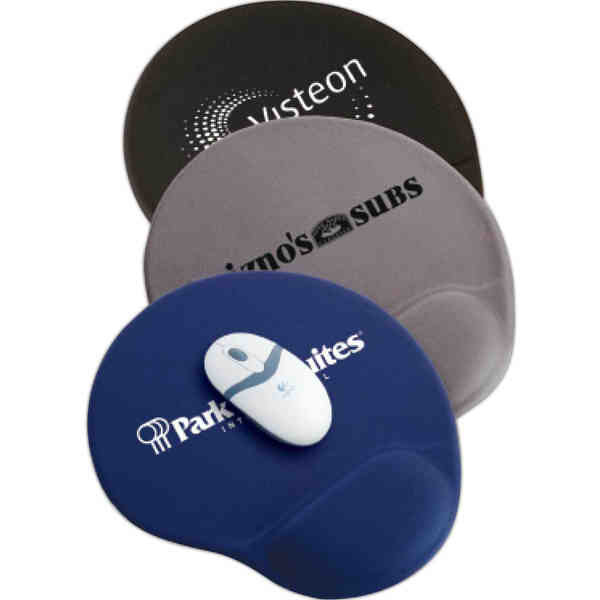 Imprint Method: Full Color - Need a mouse pad that will enhance wrist comfort and show off your company's logo or name? Look no further than this oval mouse pad with gel wrist rest! This 1/4"' thick mouse pad is available in black, dark blue, or dark gray and can be imprinted with an assortment of colors to make a truly unique office item. The oval mouse pad is the perfect promotional product for computer events, conventions and trade shows! Size: 8 3/4 " x 10 " x 1/4 "
Price Includes:full color, one location imprint.